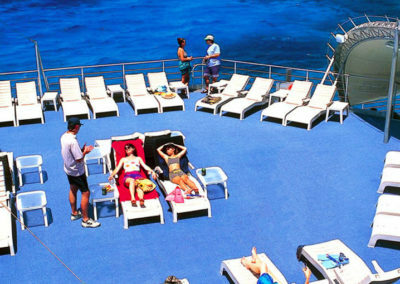 There is no better way to discover the Great Barrier Reef than on a cruise to an outer reef activity platform! 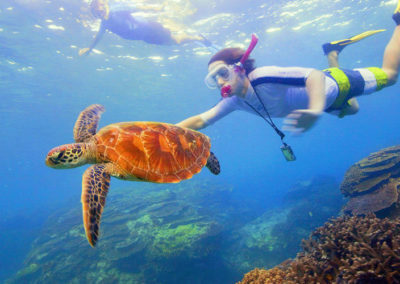 This full day cruise departs from Cairns aboard spacious fast catamarans to ensure you have as much time as possible out on the reef to snorkel or dive at your leisure. The day begins from the Cairns Reef Fleet Terminal where you will travel out to the reef. Complimentary morning tea is served as you enjoy the scenic cruise out to sea. 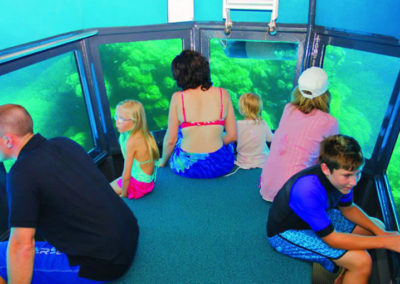 Upon arrival at the activity platform, visitors will have up to 3 hours free time to snorkel and enjoy the underwater observatory as well as a cruise on a semi-submersible reef viewing tour. A delicious buffet lunch is served whilst you are out on the reef and is available whenever you are ready. Enjoy lunch out on the sundeck of the platform whilst admiring your beautiful surroundings. 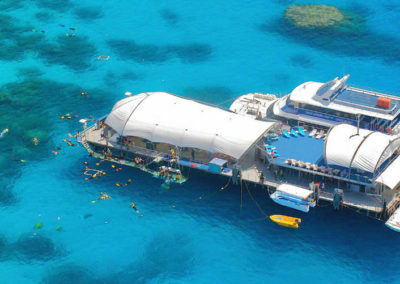 Additional upgrades are available on the day to include scuba diving, scuba-doo (underwater scooter), helicopter flights and hotel transfers if required. This tour is suitable for families or large groups where everyone has a different interest or swimming ability as there are a variety of activities to keep everyone happy. 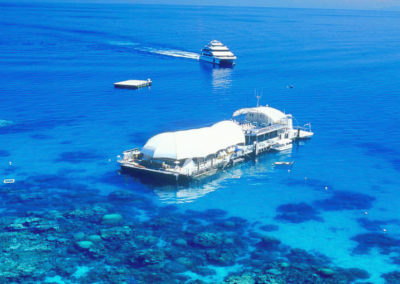 Non-swimmers can also experience the Great Barrier Reef without getting wet on this tour with the semi- submersible boat tours, underwater observatories or additional scenic helicopter flights available. A $6.50 per person levy is payable on the day when you depart from the Cairns Reef Fleet Terminal. 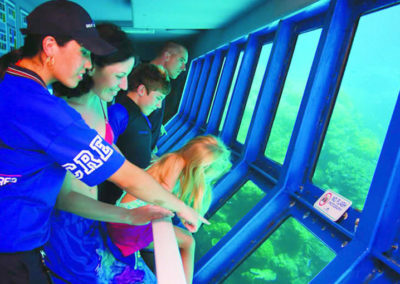 Begin your Great Barrier Reef adventure today and join a day cruise to the Great Adventure Activity Platform!